Jeremy Cohen‘s electrifying jazz violin performances have earned him nationwide accolades. Classically-trained and a student of Itzhak Perlman and Anne Crowden, Cohen’s eclectic style reflects his respect for a wide range of violinists from Perlman and Fritz Kreisler to Joe Venuti and Eddie South. Cohen has performed as soloist with numerous orchestras including the Virginia Symphony, the California Symphony and the Reno Philharmonic. His recording credits include motion picture and television soundtracks including “The Dukes of Hazzard” and Jane Fonda’s “Dollmaker,” and as concertmaster on recordings with Linda Ronstadt, Ray Charles, Aaron Neville, Howard Keel and Cleo Laine. He appeared on Carlos Santana’s Grammy-winning CD “Supernatural” and the original “Star Wars” compilation CD with John Williams. On the stage he was the solo violinist in “Forever Tango” and “The Best Little Whorehouse in Texas” and has toured and recorded with the 2006 Grammy winners, the Turtle Island String Quartet. Dix Bruce is a composer, author and award-winning guitarist from the San Francisco Bay Area. 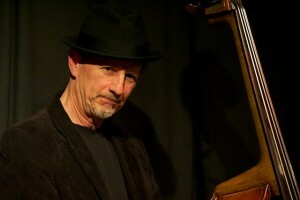 He has made music with Jeremy Cohen for over twenty-five years. Dix also performs and records with a variety of Bay Area-based musical groups in varied styles, from traditional American country and folk, to bluegrass, swing and jazz. 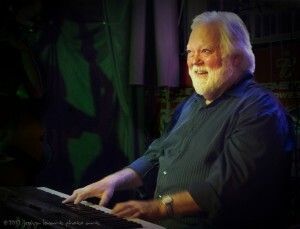 Pianist, composer and arranger Larry Dunlap has a multifaceted career that includes extensive work in the ﬁelds of jazz, classical and popular music. Larry lives in the San Francisco Bay area where he regularly appears with his wife, vocalist Bobbe Norris. They perform throughout the U.S. and have toured in Europe, Canada and Japan. They have made several recordings, both together and separately. Since the early 1980s Larry has been pianist in North America with the British singer Dame Cleo Laine and, until this past year, with her musician husband, the late Sir John Dankworth. His past work has seen him appearing and/or recording with jazz vocalists Mark Murphy, Sheila Jordan, Ernestine Anderson and Joe Williams as well as instrumentalists Gerry Mulligan, Art Farmer, Ralph Towner, Ernie Watts, Bud Shank and Larry Coryell, to name a few. Larry has composed works for chamber orchestra and jazz ensembles of all sizes as well as many songs and jazz sketches. He received a grant from The National Endowment for the Arts and has been commissioned to compose several pieces. He has orchestrated and arranged music for the Marin and Peninsula Opera Companies as well as big bands and orchestras and has acted as musical consultant to the composer/tycoon Gordon Getty. In the pop music ﬁeld Larry has toured with The Pointer Sisters, Country Joe McDonald and others. He appears as keyboardist, arranger and producer on many recordings. 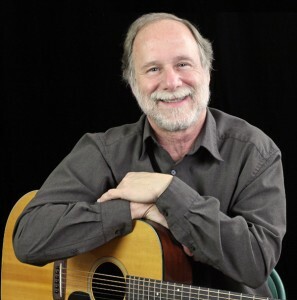 Larry transcribes and edits music for publications from Sher Music Company. These include The New Real Book, Volumes 2 & 3, The Standards Real Book, The European Real Book and others. He recently completed a 450 page book of transcribed jazz solos for The Hal Leonard Corporation. San Francisco native Jim Kerwin loves to play the string bass and he does in many diverse settings –classical, jazz trio/quartet, bluegrass and big band. 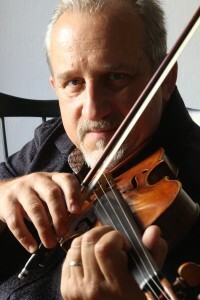 He has performed with great players such as Yo yo Ma, Stephane Grappelli, Jerry Garcia, Gary Burton and Herbie Hancock. Jim has been bassist in the David Grisman Quintet since 1985. Of the many fine recordings that Jim has been on six have been nominated for Grammys. Jim’s solo projects include arrangements for bassfiddle where he plays fiddle tunes on the bass with the bow.